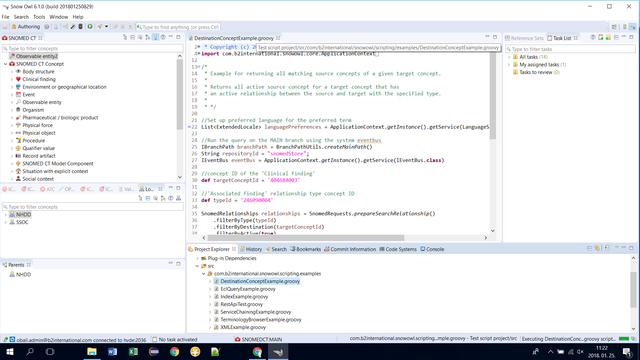 This development milestone continues to support validation and reporting through various functionalities and adds an updated Local Code System support to Snow Owl. For advanced users wishing to exploit the full power of Snow Owl’s API, we have provided scripting support for ad hoc queries, validation and reporting. 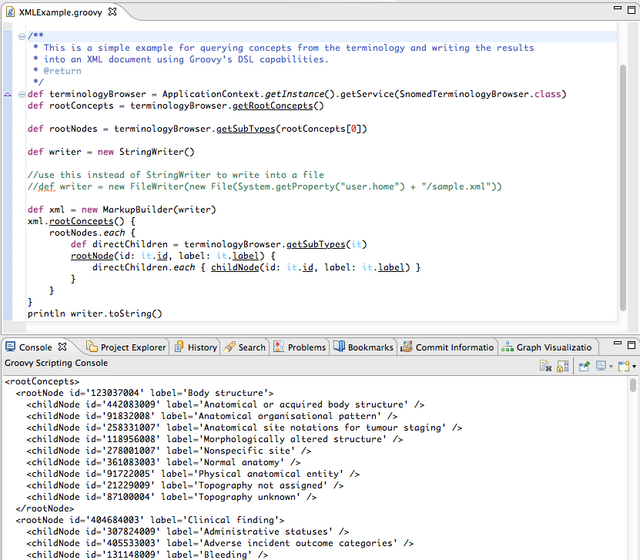 We have integrated a full-featured Groovy editor to simplify the creation of scripts. Those more comfortable with Java can use Java syntax within their Groovy scripts as well. Local Code Systems can now be imported, managed, maintained and exported within Snow Owl. There are two import formats that are supported, one is a spreadsheet format that was available in earlier Snow Owl versions, and one is a simple XML format. Users can browse and import the source files using the easy-to-use import wizard. 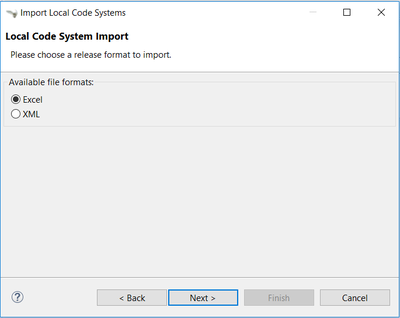 Exporting Local Code Systems is possible via the Export wizard. The local code system navigator allows you to create new local code systems where each root node represents a separate local code system to group the local codes under. From the navigator you can add a new local code system or code to the hierarchy via an associated editor that allows you to specify additional properties. These local codes can later be referenced in value domains and mappings. Each local code systems can be versioned individually. Local code systems can also be used to populate Value sets. New validation rules have been added to validate by clinical or pharma criteria. Validation spreadsheet will be updated to reflect changes. Permanent exceptions to validation rules can be added to whitelists. Whitelisting a concept is easy: just right-click on it in the Validation Issues view. Whitelisted components are displayed at the bottom of the view. Right-click to remove whitelist the same way. In case there are no changes in Open and In Progress task states, the Resolve button is not available on the user interface. Reviews are not removed automatically after a task is returned to the Author.